The book takes the reader on a journey through knowledge, attitudes, values, and actions that spell the difference between success and failure in starting and running a small business. 'DNA of the Young Entrepreneur' is a compelling mixture of philosophy, personal experience, and practical advice. The book takes the reader on a journey through knowledge, attitudes, values, and actions that spell the difference between success and failure in starting and running a small business -- or between running an enterprise on a business-as-usual level and pushing it to great success. Sean McCauley is a wunderkind ­ With the strength and determination to succeed at whatever he does. Sean, a young entrepreneur who was raised in rural poverty and has lifted himself to wealth in the millions through his Service, Import, and Real Estate portfolios. The intensity, commitment, and preparation that he demonstrates provide practical starting points for anyone who wishes to become wealthy. Though still in his late 30s, Sean has become successful in business several times over, with accomplishments such as SBA’s Young Entrepreneur of the year, and San Francisco/Bay Area’s most successful under 40 recognition. He has sufficient self-awareness and analytical abilities to clearly describe the principles and practices that have contributed to his success so that others can follow where he has led. 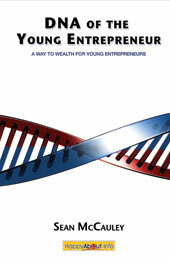 "If you are at all serious about being successful in business the `DNA of The Young Entrepreneur' is a must read! Sean McCauley has put together all of the elements needed to `earn' your way to wealth. This is not only a practical guide, but a philosophical one. Calling on his own experience at an early age, he has detailed the route to success. You will never learn at business school what is presented in this book." James P. Neeves Retired Executive Vice President W.R. Grace & Co.
DNA of the Young Entrepreneur' is a compelling mixture of philosophy, personal experience, and practical advice. The book takes the reader on a journey through knowledge, attitudes, values, and actions that spell the difference between success and failure in starting and running a small business -- or between running an enterprise on a business-as-usual level and pushing it to great success. The book is the distilled wisdom from the authors own self-made journey from poverty to wealth. It provides a readable and compelling description of all the pieces required to change any intelligent and motivated young entrepreneur into a fulfilled, productive, and wealthy human being. 'DNA of the Young Entrepreneur' goes beyond the mere quest for materialism that limits the effectiveness of similar books in the field. It addresses the foundational characteristics that form the basis of real success - things like family, faith, fellowship, etcetera. The book will be a great read for every entrepreneur who wondered. "How can I become wealthy?" "What ethical short-cuts are required in order to become wealthy?" "Why is my business languishing in the doldrums?" "How can I beat my competitors at their own game?" "How can I pursue wealth without losing the other important parts of my life?" 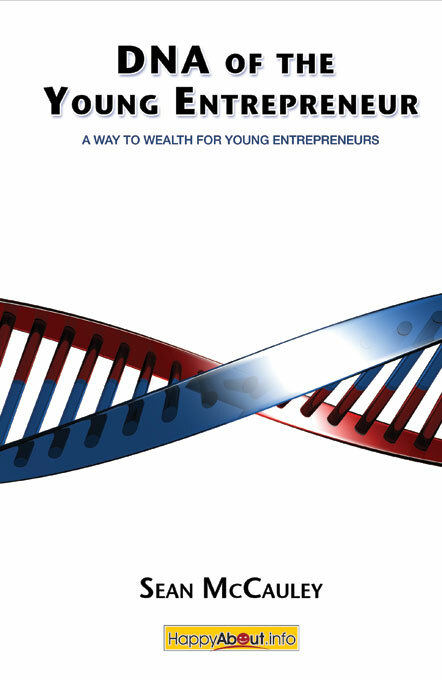 "'DNA of the Young Entrepreneur' is a book for the person seeking permission to be powerful and successful, regardless of their age. As I read through the principles, I think about my last few years as an entrepreneur and can attest that this is a must-read for anyone who is ready to embark on their journey, whether they think they have the DNA or not!" "If you are at all serious about being successful in business 'DNA of The Young Entrepreneur' is a must read! Sean McCauley has put together all of the elements needed to 'earn' your way to wealth. This is not only a practical guide, but a philosophical one. Calling on his own experience at an early age, he has detailed the route to success. You will never learn at business school what is presented in this book." James P. Neeves Retired Executive Vice President W.R. Grace & Co.
"Just retiring after 20 years from a top Fortune 100 company left me questioning my future. Being in corporate America for over 30 years, it wasn't someplace I was in a hurry to get back to. Reading this book gave me a new perspective and a fresh set of dreams. 'DNA of the Young Entrepreneur' is a wealth of information, not only on what it takes to become a successful entrepreneur, but how to become a better you. After reading this book, you will find the answers to Becoming, Learning, Relating, and Doing business in a way that is true to yourself, and above all, one that brings you personal happiness and fulfillment." "'DNA of a Young Entrepreneur' is a must read for anyone, both young and old, who is looking for some fresh perspective on how to succeed in business and life. Sean gives us a peak into how personal disciplines like the Five F's directly relate to his vision and success in starting and leading profitable businesses. Whether it's growing olives for his emerging oil business or putting in the grueling hours on a bike or running the hills necessary to compete in an Ironman, Sean tackles each new endeavor with a unique passion and intensity. Whether you're an aspiring entrepreneur wondering how to grow a business or homemaker looking for ways to better manage your family, set aside some time, pull out a highlighter and get ready to gain some valuable insight from Sean about how to do life with purpose and expectancy." "Being successful is one thing. Being successful because you had a plan and executed it well is still another. Doing that several times is extraordinary. Sharing the lessons you've learned in the process with the world is truly a gift, and that's exactly what Sean McCauley has done with this book." Scott Allen, About.com Guide to Entreprenuers and co-author "The Emergence of The Relationship Economy"
"'DNA of The Young Entrepreneur' is very straightforward and explains simply and clearly the step-by-step processes for building and managing a successful company. What strikes us about Sean and reading DNA is this: it is one thing to be so completely successful as an entrepreneur at such a young age, but to then have the ability and talent to write the HOWs and WHYs so straightforwardly make this book a must read." "We can learn valuable lessons from the experience of others. Sean's collection of knowledge in developing and running successful businesses provide a powerful tool for new and experienced business owners. 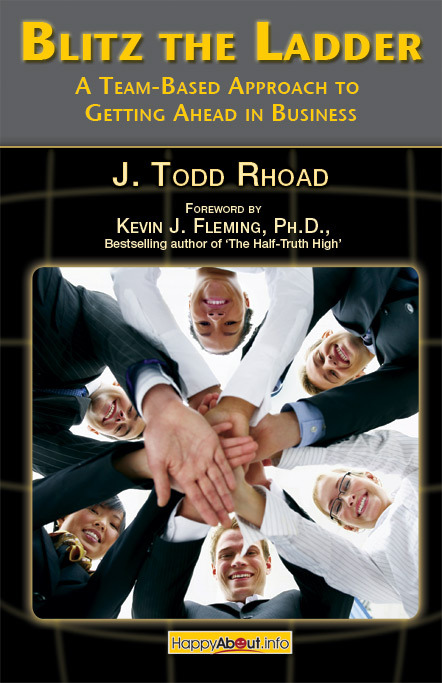 I encourage you to read this book and apply the lessons you learn." "'DNA of a Young Entrepreneur' was a very good read...I saw lots of practical applications that I could use in my own business...There were lots of Wowies that caused me to pause and think about my own situation...now I have to go back and do some of the hard work to bring them to realization! This is a real rags to riches story of a young man who started in the fields and ended up in the boardroom. This is his story, his life, and his own 'pull yourself up by your boots straps' strategies and disciplines. This is written by a young entrepreneur that is still in the battle. As a result, it is a unique and fresh approach that will help you create your own successful story, no matter what your circumstances." "I've owned my own business for years, however for most of that time, my business owned me. Sean's book 'DNA of the Young Entrepreneur' has been a great tool to help me take control of my business again by following the same time management principles. How easy, now I have time to focus on where I really want my business to be. Thanks Sean! I can't wait for the next book."